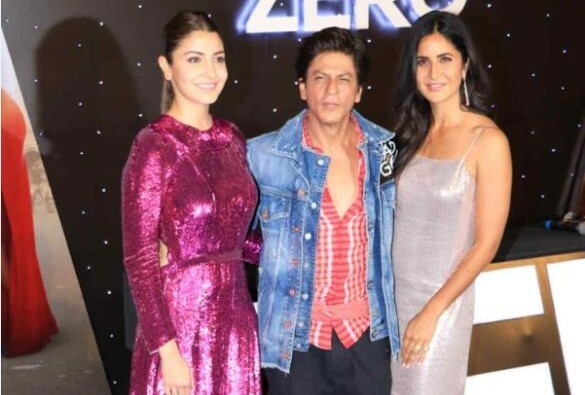 After much wait, the trailer of Zero, starring Shah Rukh Khan, Anushka Sharma and Katrina Kaif is finally out. Directed by Aanand L Rai, the film is believed to be high on emotions with SRK playing a vertically challenged man, Bauua Singh, Katrina playing a superstar and Anushka playing a specially-abled girl and the fans can hardly contain their excitement. Additionally, at the launch of the trailer at IMAX Wadala, in Mumbai, team Zero also celebrated Shah Rukh Khan’s 53rd birthday, making it even more special for his fans across the world.